The upcycle Tulip Purse is so bright and cheerful that it reminds me of summer. The bold bright colors that I love, will fit nicely into an Urban Summer collection line of colorful purses. 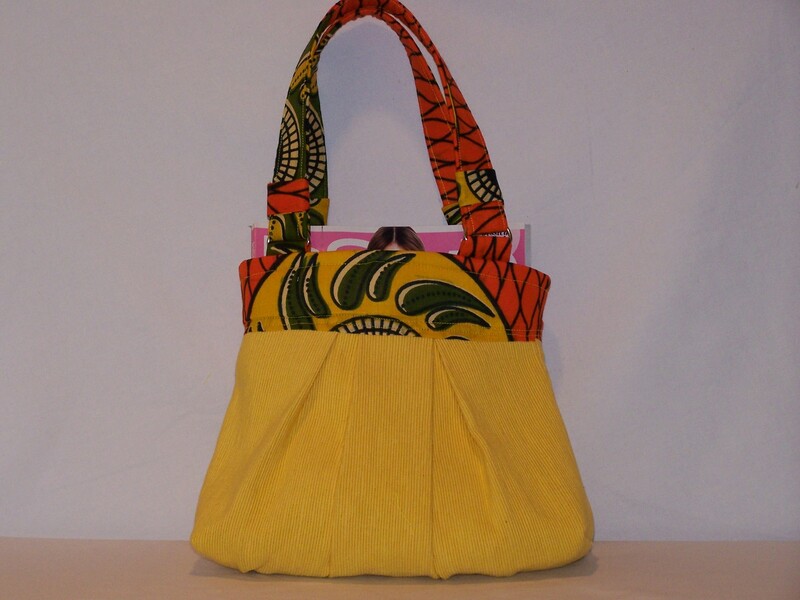 Inspired by the Linen Safari Handbag, I used the same design for this purse. 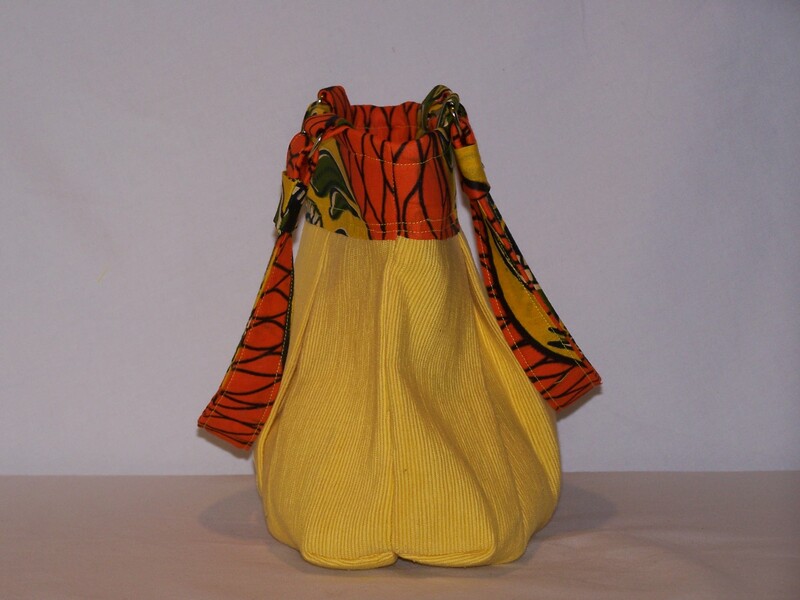 So here’s a look at the Tulip Purse, let me know what you think of my newest creation. 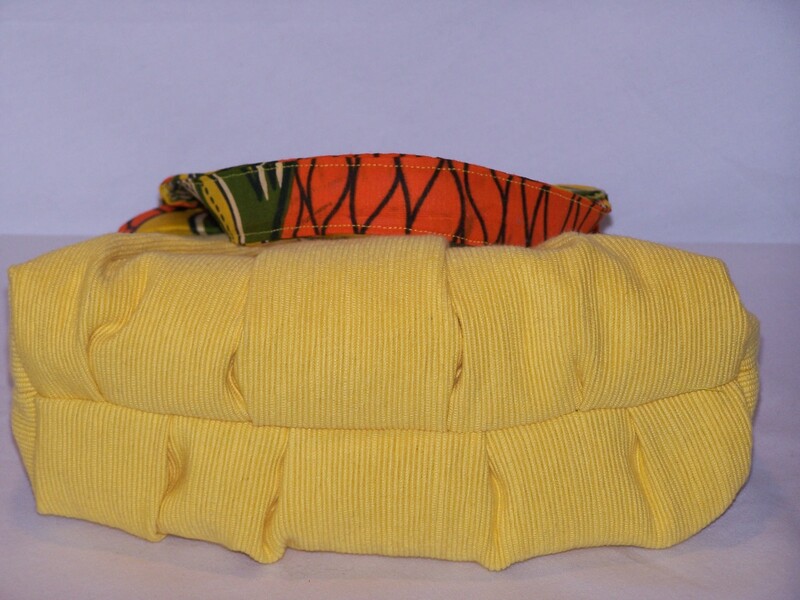 Upcycling a yellow placemat and material from Dakar, in West Africa, made a great contrast of textures. I love it when a plan comes together! Stay tuned ~ I’m off to create something marvelous! Don’t forget to vote on your favorite purse for the March Giveaway! I placed the poll on the top right side of my blog.